In the last post, I talked about change. 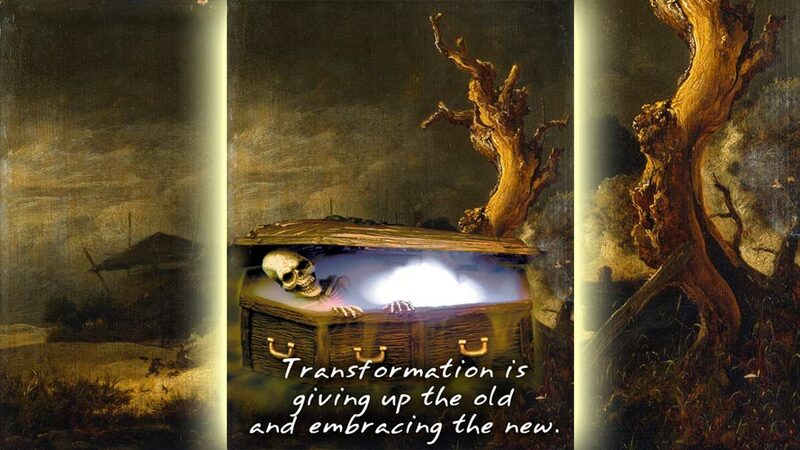 What change implies is “change into what?” Then we have transformation. The change of one into another. Nature, the cosmos or creation is not random. We now know that what appears random has an underlying structure to it, like fractals which are everywhere. Change happens through time, and one thing turns into another. There is always purpose in this transformation. That is, for life forms to grow, to evolve, not in the Darwinian sense, but in consciousness or awareness. The purpose of your own life, here on earth, is constant transformation. But how many people are aware of this? Transformation will still happen for those who stumble through life unaware. There are many paths to go, and lots of experiences to go through. However, as you can plainly see, with lots of pain and suffering in these present times. Transformation brings awareness. It is really important to not sit around, but to use your present awareness transform yourself as much as possible. This will improve your well-being, your clarity of mind, your emotional life and also your direct environment as this is a reflection of your inner state of being. For that purpose meditation is always a good thing, in any form. Basically, in a calm space, you turn inwards and feel that inner power in yourself, that center from which your entire present being emanates. It is called the Divine Self, or the True Self. Actually is is just You, minus all the programs instilled into you from the outer world. Listen to the voice of your True Self and it will guide and propel you through constant transformations. These can be painful or pleasant, embrace them both, because it will always be beneficial for you. If you pay attention you will feel that you are on the right path. ‘Right’ is used here not in the sense of right or wrong, but in that which is in accordance with your True Self. You will know when you are right when it will bring you more awareness of yourself, or who you Truly Are. This entry was posted in Consciousness, Life Lessons and tagged Awareness, being, change, consciousness, path, spiritual, transformation, true self. Bookmark the permalink.